Topping is a technique in horticulture in which you cut off the top part of a plant to halt its upward growth in order to promote lateral growth in the lower branches. 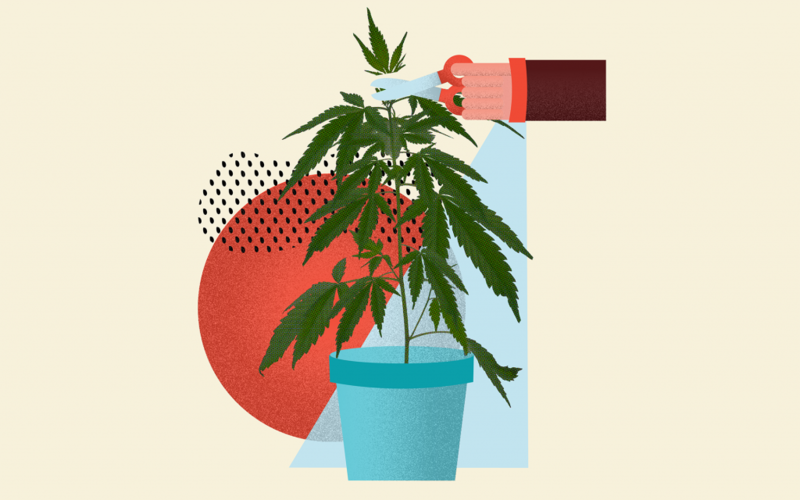 Although it may seem strange to cut off and throw away part of your cannabis plant, rest assured, topping is an essential step in keeping your plants healthy and getting quality yields. We’ll dive into topping, as well as a similar plant training technique popularly called “fimming” or “FIMing” (short for “f**k I missed,” if you’re wondering), something that started as an accident but is also useful in the right circumstances. 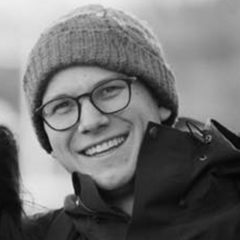 Both techniques are simple and easy to perform and will make a big difference in your final yield. 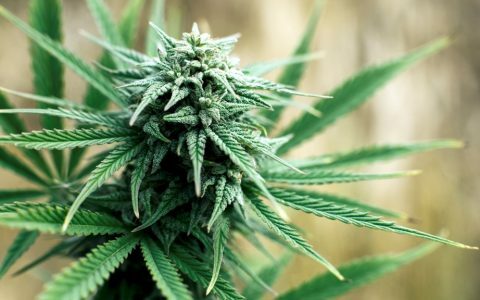 Why Is Topping Cannabis Necessary? Topping is done during the vegetative cycle to help redistribute growth hormones from the main stalk to new offshoots and stalks farther down the plant. Topping and fimming will create an even canopy as the growth hormones are distributed to all the developing stalks and colas. If left to grow on its own, a cannabis plant will grow vertically, focusing its energy on one main stalk. The result is one long dominant cola with smaller stalks surrounding it. These smaller stalks will produce small, larfy buds that won’t be that good and the overall size and yield of the plant will be small. 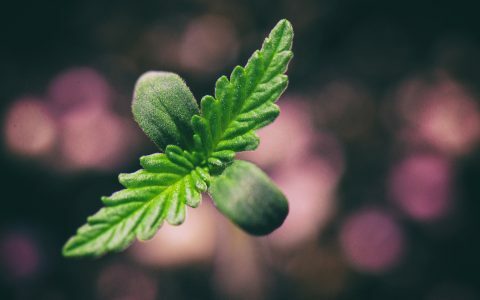 Topping makes a cannabis plant bushier—by cutting off the main stalk, the plant will redirect its energies to the smaller side branches, which will grow out. In time, these side branches can also get topped, which will created more side branches and make the plant bush out even more. 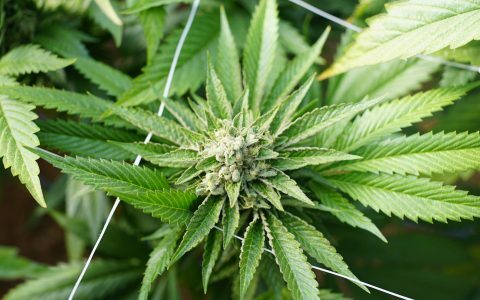 Doing this will also create more bud sites on branches and therefore increase your yields. A single plant can get topped a number of times, each time creating more branches and making the plant’s shape bushier. This bushy shape is also important for a plant to receive light more effectively in a couple ways. 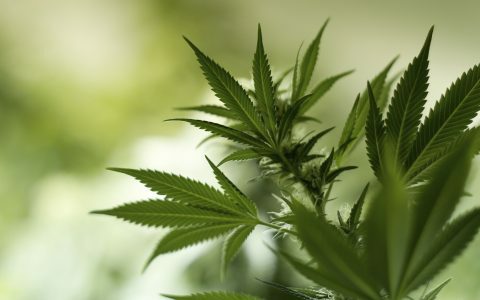 It allows light to hit the plant more evenly—because the plant is more wide than it is tall, all of the bud sites will receive a more equal amount of light. With one vertical stalk, the main cola will get a lot of light, but the lower branches will get shaded out by the main cola, producing larfy buds. Also, in an indoor setup, if you had one vertical stalk, the main cola will get a lot of light, but the lower branches will be too far away from the light source to receive a good amount of light. Topping is the tried-and-true method preferred by outdoor and large commercial farmers. Many growers will often top a plant multiple times to get a large bushy structure. Topped plants are more stable and have a stronger branch structure and require less support than plants trained with fimming. The fimming technique works great for growers in small spaces who are trying to maximize their yields. However, fimmed plants will need more structural support, so take extra care in trellising your garden. Whichever technique you choose, you’ll no doubt see a substantial increase in yield. If you aren’t sure what method works best for you, try both and see which you prefer. 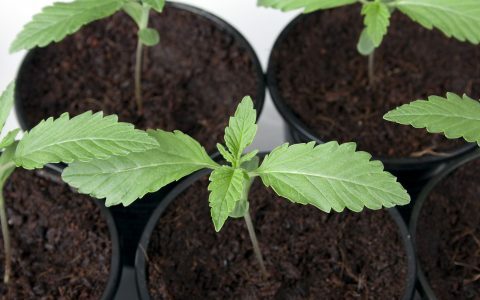 Growing is a continual learning experiment and cannabis plants are resilient, so don’t be afraid to try different techniques and learn from mistakes. 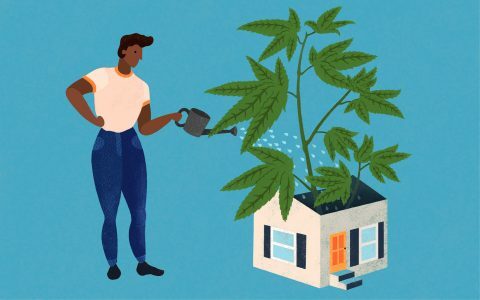 Topping or fimming a cannabis plant is a high-stress training (HST) method that works best when the plant is developed and can withstand a drastic change. 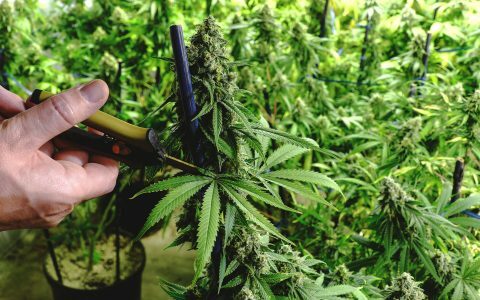 For the first topping, a good rule of thumb is to cut the plant above the 5th node—this will give you enough branches on the bottom for the plant to bush out properly. For subsequent toppings on the same plant, cut each branch above the second or third node, to allow the plant to grow out properly. These toppings are more subjective however, and will depend on how much you want the plant to bush out and how big you want the final plant to be. Get your tools and disinfect. You’ll need either a pair of pruning scissors or a razor blade. The sharper the better—you want to make one clean cut. The tool should be sterilized with rubbing alcohol to help prevent infections in the plant (this is very rare, but it doesn’t hurt to be safe). Decide where to make your cut. The difference between topping and fimming is nothing more than the location of where you cut the plant. 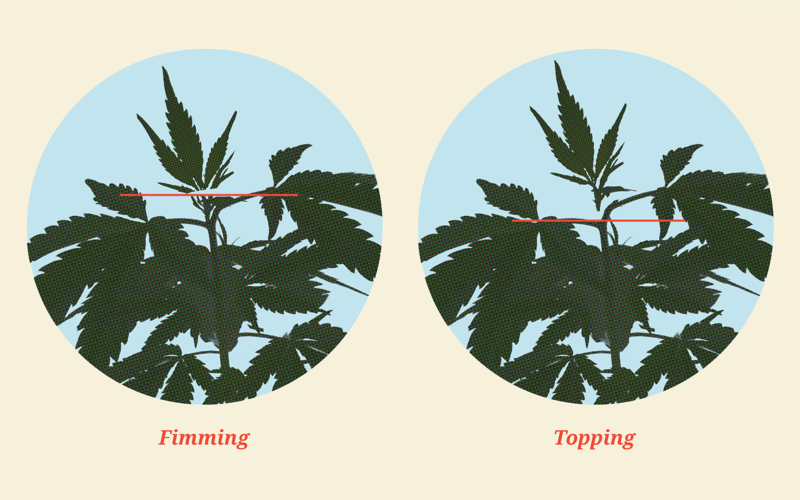 With topping, you’ll remove the newest growth on the main stem or a branch, but with fimming, you’ll cut off the upper half of the new growth (see image above). Topping will create two new stalks from where you cut, whereas fimming might create 3-8 new stalks. Monitor your results. With both techniques, you’ll see the plant direct more energy to the lower branches of the plants, and they’ll begin to catch up with the newly trained dominant stalk. It’ll take a few weeks for the plant to fully recover, at which point, branches can be topped again if you so choose.